There are so many exciting new trends emerging in the design world right now. As plumbing, tile, and cabinet companies look at what is popular in other industries, fun and beautiful new finishes come out each year, ready to go in your new home! The faucet styles in our homes are heavily influenced by the automotive and appliance industries. We are seeing the warmer metals expanding to more and more lines, as well as matte black and chrome. Moen has released their brushed gold finish on the modern Align series, the vintage Weymouth series, and the transitional Voss series for the bath. Matte black is found on the modern faucet series like Align and Genta, but also on the farmhouse-inspired Waterhill collection. The brushed gold blends beautifully with saturated cabinet colors like a deep blue or black as well as stark white. For a bold look, choose a dark wall color to showcase the gold faucets, or for a feminine boutique look, white cabinets with a blush pink wall are gorgeous. Matte black brings more of an industrial feel and works well with painted or stained cabinets. The combination of black with stained cabinets softens the look from contemporary to modern and is a great way to bring a unique touch to a farmhouse style or mid-century modern kitchen. Mixing white, black, and stained woods will never go out of style. Warm metallics, as well as matte black finishes, are very popular in kitchen appliances. Whirlpool has their sunset bronze finish which is not only beautiful but fingerprint resistant. This finish blends nicely with warm, rich stain colors and makes a bold statement when paired with black or blue painted cabinets. Matte black and black stainless finishes lend a sleek, modern touch to any kitchen, and look great with the new black faucets and cabinet hardware available. Besides exciting new finishes, new cooking technology is also available that turns your ordinary kitchen into a chef’s kitchen. Steam ovens use the power of steam combined with convection to create restaurant-quality dishes that retain the nutritional value of the food. Modular appliances are also becoming popular as they allow you to have fryers, induction or gas cooktops, steamers and more in a 15” space instead of having to purchase larger appliances. Drawer microwaves are fantastic for allowing you to have a full-size appliance without taking up counter space. They are also safer for food preparation as you are lifting the hot items up to the counter instead of down from over your head. Deep, full-bodied colors are trending up in home décor as well as cabinetry. Dark navy and ocean blues are becoming ever more popular for kitchen islands and base cabinets as well as pops of color in fabrics. Jewel tones of garnet, emerald, and sapphire make beautiful backdrops to the warm metals. Gray and white are still the most popular cabinet colors, and as a result, we are seeing new gray washes mixed into stain colors which result in some gorgeous driftwood toned cabinets. Pastel colors in blush and sea glass are also popular and create a very restful space when paired with whites and creams. We have many of these new finishes on display in our design center and can’t wait to help you incorporate the ones you like into your new home! This entry was posted in Uncategorized on February 28, 2019 by 15159114. Does having my credit check hurt my score? If your [FICO Scores] change, they probably won’t drop much. If you apply for several credit cards within a short period of time, multiple inquiries will appear on your report. Looking for new credit can equate with higher risk, but most credit scores are not affected by multiple inquiries from auto, mortgage or student loan lenders within a short period of time. Typically, these are treated as a single inquiry and will have little impact on your credit scores. Does having my credit checked by more than one lender hurt my score? Looking for a mortgage, auto or student loan may cause multiple lenders to request your credit report, even though you are only looking for one loan. To compensate for this, FICO Scores ignore mortgage, auto, and student loan inquiries made in the 30 days prior to scoring. So, if you find a loan within 30 days, the inquiries won’t affect your scores while you’re rate shopping. In addition, FICO Scores look on your credit report for mortgage, auto, and student loan inquiries older than 30 days. If your FICO Scores find some, your scores will consider inquiries that fall in a typical shopping period as just one inquiry. For FICO Scores calculated from older versions of the scoring formula, this shopping period is any 14-day span. For FICO Scores calculated from the newest versions of the scoring formula, this shopping period is any 45-day span. Each lender chooses which version of the FICO scoring formula it wants the credit reporting agency to use to calculate your FICO Scores. These companies are showing scores that are calculated for short term lending purposes like credit cards and auto loans. The credit bureaus use a different scoring model to provide credit scores for a mortgage. Although it gives you an idea of your score, most of the times your credit score used for mortgage approval is going to be different. How do I increase my credit score? • Pay bills on time. • Keep balances low on credit cards and other revolving credit products. • Apply for and open new credit accounts only as needed. This entry was posted in Uncategorized on February 15, 2019 by 15159114. When building a new home, everyone focuses on the big things like how many bedrooms and baths they need, two car versus 3 car garage, etc. And these items are of course, the most important. However, once you have the layout done, did you know there are many small things you can add to your home that will make living that much easier? Since almost every new home design has moved the kitchen sink to the island and almost every island is flat now, there’s no wall or raised bar top to put the disposal switch on. That means it must go inside the sink cabinet under the sink. Now for those families who don’t use the disposal often, this is not a problem. But for those that do, having to open your cabinet door with wet hands and bend down to hit the switch each night is not the best arrangement. That’s where the air switch comes in. It’s a small button that matches the finish of your faucet and is installed on the countertop that you push to turn the disposal on and off. Not only is this much more convenient, but it also saves your cabinet finish from constant water drips. Up until recently, your only two choices in cooking were gas or electric. Electric cooktops allow you to have a nice, sleek glass top and some even have eliminated the knobs, but they aren’t always efficient in heating consistently or quickly. Gas, on the other hand, is known for the precision heat control it provides, but you do have grates to clean and the heat that escapes into your kitchen as a downside. Enter the induction cooktop. Induction causes the pot itself to heat up, not the cooktop which means that if you were to boil your pot over there’s no burnt-on residue to clean up, and no hot eyes to keep little fingers away from. Most induction cooktops can boil water within 90 seconds – a huge improvement over electric – yet they still provide the sleek glass top that many people like in their homes. Some of the higher end cooktops even allow for a flush installation with the countertop, so you can make them almost disappear. Hand showers are small shower heads that are attached on a metal hose. They can stand alone or be attached to a bar at the main shower head. While they are one of the more expensive items on this list, they give you quite a bit of functionality. Hand showers make cleaning the shower or tub much easier, as you can reach all the corners and walls that a normal shower head can’t. They are also great for washing pets, rinsing off feet, and are a quick way to clean a squirmy toddler. When you install them on their own valve, they also function as a second shower head for the shower. Switched outlets allow you to turn on an item that is plugged into the outlet by flipping a switch on the wall. In a bedroom or living room, these are nice to have where a lamp will go so that you can turn them on as you enter a room. However, if you like to decorate with lights or put a Christmas tree in a room, then having a switched outlet can make turning the tree on and off much simpler. You can also put switched outlets on the exterior as well! Placing them in the eaves of the roof are great for Christmas lights, one on the back porch allows for string lights, and also consider putting one or two on the front of the house for other holiday decorations that need to be plugged in. Not having to go out in the cold to plug in several extension cords or deal with setting up multiple timers makes life much easier. Simply flip a switch and you’re done. You can never have too much storage space, and adding a few well-placed cabinets in the bath can really expand your options. If your vanity is large enough, a wall cabinet that sits on the countertop makes finding medicine, makeup, and hair products so much easier. No more bending down and hunting for what you need. Another great place for a cabinet is over a toilet, especially in a master toilet room or powder bath. These areas are perfect for holding extra toilet paper and towels, acting as a linen closet without taking up any extra space. These small additions can really improve how your home functions and make day to day tasks so much easier. During your design appointment, we can go over these in greater detail and see how we can make your dream home a dream to live in! This entry was posted in Uncategorized on February 8, 2019 by 15159114. Now that you’ve settled on a floorplan and signed your contract, the most fun part of the home building process begins! A week or two after the contract, it will be time to come to the design center and make the selections for the interior and exterior of your home. Since there are so many things to think thru when it comes to your home, we have a few tips to make the process easier and less overwhelming. The first thing to consider is what rooms or what items are most important to you. These will be the areas where you want to concentrate your design budget. For example, if you love to entertain or have a very open floorplan, you might want to focus more on making sure the kitchen is exactly how you want it and if necessary, sacrifice some on the bonus room bath. Once you know what areas are a priority for you, start looking for pictures online to get a feel for what you want that space to look like. Houzz and Pinterest are great tools for this. Both allow you to create your own online “boards” where you can save the pictures you find. At your design appointment, we can then pull them up and recreate those looks for your home. Our Pinterest page has not only inspiration photos but also several boards that act as an online design center. We recommend browsing thru these boards, in particular, to familiarize yourself with what we have to offer here. If there is a floor, cabinet, or countertop that you know you love, it gives us a great starting point to put the rest of the choices together. One of the hardest things for most people to decide on is their exterior colors. There are thousands and thousands of colors in the Sherwin Williams deck, so how do we narrow it down to just one? We recommend driving around and looking at the homes in your area. If you have a lot that is governed by an architectural review board (ARB), then the existing homes in your neighborhood should give you a feel for what types of colors will be approved. Keep in mind as well that you most likely will not be able to do a color that is very similar to the houses on either side and across the street from your lot. Another thing to consider is the style of your home. For example, if you have a very coastal elevation, then breezy or bright colors work well; where Craftsman style homes lend themselves to earth and jewel tones. Be sure to snap pictures of your favorites so we can find the right color for you. Sherwin Williams has a color visualizer that allows you to try out colors on their site to see what you like best, which can be a very helpful tool if you’re debating between several different ones. The final tip on preparing for your design appointment is to enjoy the process. We have a wonderful, professional team that will walk you thru each step of the way. We are here to provide our expertise in helping you create the look you want in a home that you can be proud of. Watching the drawings on your plans turn into a reality is very exciting, and we hope you enjoy every minute of it! This entry was posted in Uncategorized on January 22, 2019 by 15159114. Finding your dream home can be difficult if you already have an image in your mind of what that home is. If you’re constantly being disappointed by the options you’re seeing, you should consider enlisting the help of Jacksonville, Florida home builders so you can construct your very own dream home instead of having to settle for one that doesn’t feel right. 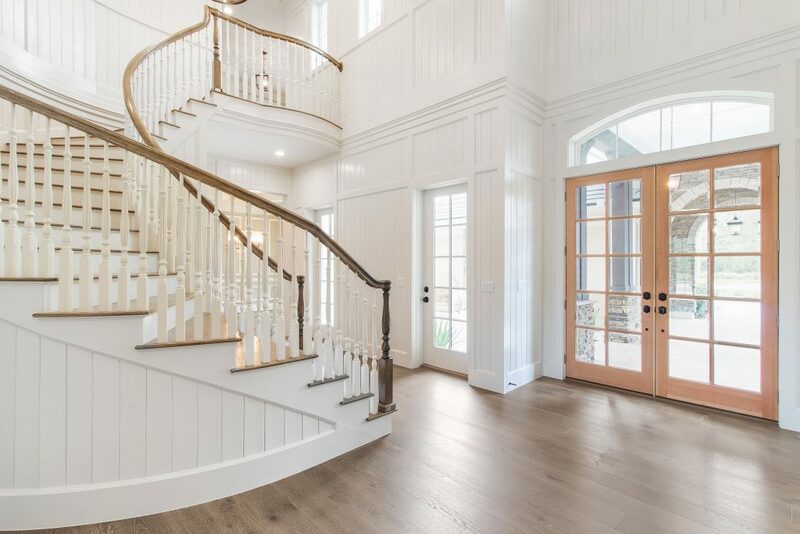 There are a lot of benefits to custom homes that we’ve touched on in the past, and one reason that’s becoming a popular addition in new custom homes is that you can create your home with flexible living spaces. Flexible living spaces are rooms in which the layout is designed to allow the room to serve a number of different purposes. This because especially beneficial since not every homebuyer is going to want the exactly the same things – one may want an elaborate dining room, another may want the room to serve as an office space. Either way, flexible living spaces are designed to accommodate either purpose to make it easier for the owner. Other common flexible spaces include rooms that can be combined to create in-law suites, music and/or media rooms, craft or hobby rooms, dens, guest rooms, and offices. If you’re in the market to build a custom home, consider including a flexible living space. They not only make it easier for you to design the perfect home but also often make it easier for additions and modifications in the future. For Jacksonville, Florida home builders you can trust to help make this an easy and enjoyable process, visit CollinsBuilders.net or call us at (904)371-0882. This entry was posted in Uncategorized on September 8, 2018 by 15159114. When it comes time to build your first home (or your second, third, and so on), there are a lot of decisions you need to make. So many, in fact, that they can occasionally outweigh the excitement you should be feeling about it! Disappoint can also outweigh the excitement if you’re looking at a lot of homes and never feeling that “this is the one” feeling. So, if you’re searching for your dream home, you should consider a custom home for a variety of reasons. on, you have much more control over where your house is located. And, location can be of large importance when choosing schools for children, proximity to family, and proximity to jobs. Some people enjoy large, spacious rooms with high ceilings and minimal furniture and others prefer small, cozy spaces they can cuddle up in. Having a preference is great, and being able to control the space you’ll be living into your preference is even better. One of the best reasons to build a custom home is because it makes it easier to adhere to your budget. 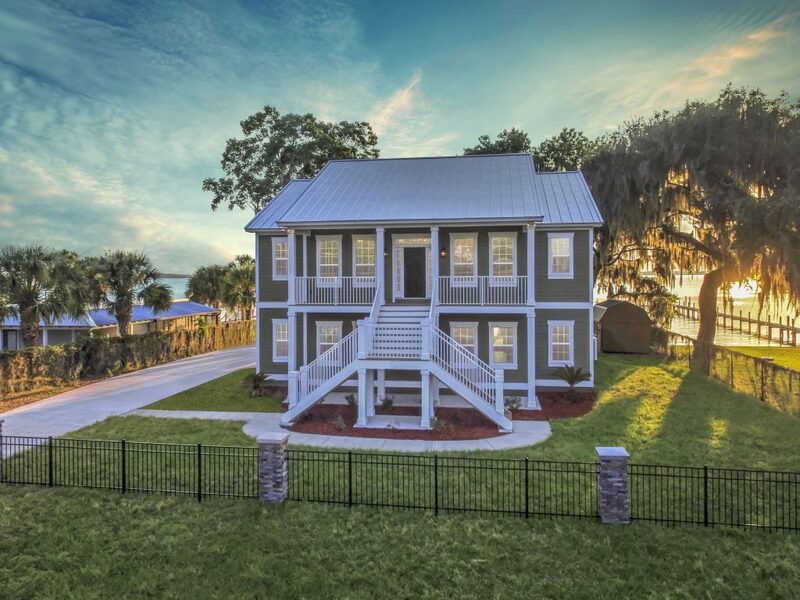 With custom home builders in Jacksonville, you can maximize what you get out the budget you’ve decided on for the home that’s perfect for you. So, when it comes time to find your next home, consider custom home builders to get the most out of your experience and your home. 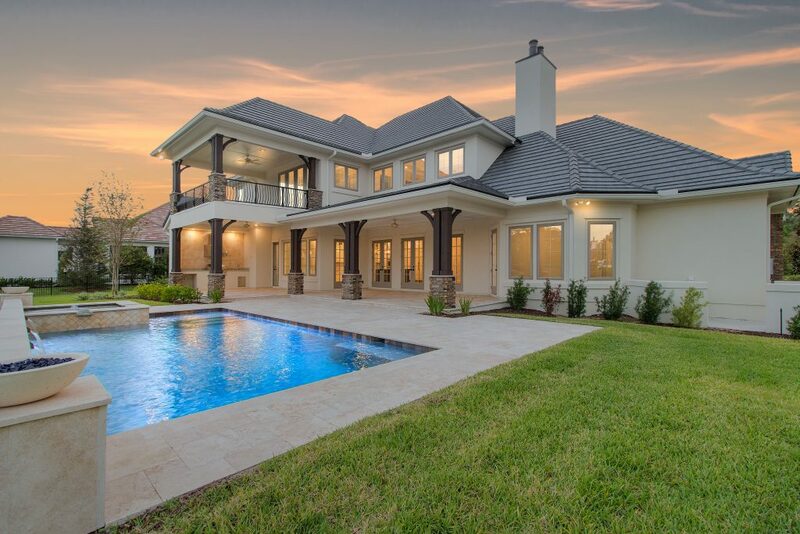 For premium custom home builders in Jacksonville that you can trust, contact the professionals at CollinsBuilders.net. This entry was posted in Uncategorized on August 7, 2018 by 15159114.
layout planning, windows, and many more details all clouding your brain. 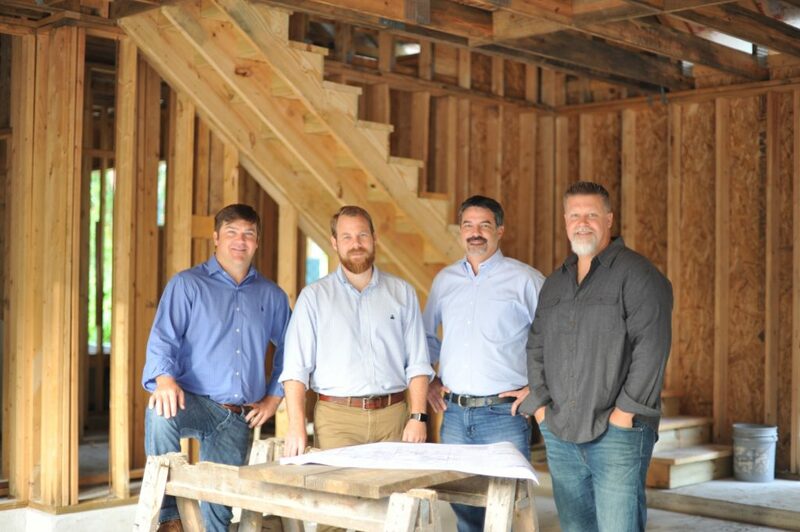 It can be easy to overlook some details with all of this going on, which is why custom home builders in Jacksonville are something you should consider to help you with your building process. One thing that professional custom home builders like our staff at CollinsBuilders.net can help you decide is something you may not have considered before: the location of your guest bathroom. Guest bathrooms are not a necessity, but they are definitely a luxury you should consider. When you have guests over, whether they are family, friends, colleagues, or even clients, they will more than likely have to use the restroom at some point. And, while you’ve definitely tidied up before having company over, there are still reasons you may prefer to have space for them to go besides your personal restroom. 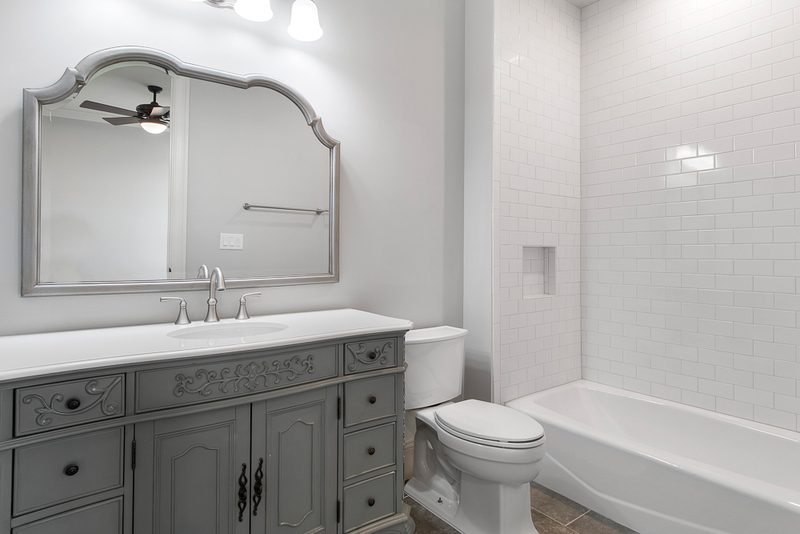 You may be wary of snoopers looking through your cabinets or you may just prefer that your guests aren’t subjected to viewing all of your children’s bath toys lying about – either way, a guest restroom will help. To start, a guest bathroom is best suited to be on the main floor of the home. It is also best to ensure that the view into the bathroom is a pleasant one if it is attached to a common area like a living or dining room. Common placements for guest washrooms are off of the kitchen and/or near the exit toward the garage. There are many different options for where to place your guest restroom, and we can help you decide! Contact CollinsBuilders.net for custom home builders in Jacksonville you can trust. This entry was posted in Uncategorized on July 25, 2018 by 15159114. Is your current home too small for you and your growing family? Are you and your spouse empty nesters and your current home is just too big? If you have very specific needs and wants, building your own custom home will be a great option for you. There are so many benefits of having a home custom built for you. Having a home custom-built provides you with the ability to build something that is your very own from the start; you won’t have to worry about making any modifications because the home will be built to your own wants and needs. Your needs will be met. Imagine being able to live in a home that has all of the features that you desire. The layout, the number of bedrooms and bathrooms, the design, the amenities — everything you have ever wanted will be in your home. You pick what you want. Another benefit of having a custom home built is that you will be able to choose the materials that are used. Your home builders in Jacksonville will make sure you get all the custom details you desire. Increased energy efficiency. Many homes have already been built are not energy efficient. When you build your home, you can ensure that it will be as efficient as possible. Choose the location. Yet another perk of having your home built is that you will be able to choose the land you want to live on. When you have your home built, you get to choose where you live. That new-house scent. No stained carpets, no horrid paint colors, no tacky wallpaper. With so many benefits, it really is easy to see why newly constructed homes are such a great option and why you should consider building one. This entry was posted in Uncategorized on June 14, 2018 by 15159114. Choosing the right home building firm for your needs is one of the most important decisions you’ll make during your home-buying process. Fortunately, there are some proven ways to speed up the process as you research and select a quality builder. Some Jacksonville Florida home builders specialize in a certain type of style home or price range. Factors such as building materials, trade contractors and the building process itself can vary widely by type and price. Check for references from past home buyers of the firm. Are they satisfied? Make sure you’re working with a licensed and insured builder to ensure that you are covered during the building process. It’s likely you already have a style for your new home in mind. Make sure your builder has a portfolio that includes at least a few examples of the style of home you want. For example, a builder whose portfolio consists entirely of traditional homes may not be the best fit for the contemporary home you’re dreaming of. Look for builders whose homes tend to hold or maintain their value. You can browse realtor ads that specifically mention the name of a builder for a home for sale that is now 5-7 years old. You’ll have peace of mind knowing your home and its components are brand-new and under warranty. This entry was posted in Uncategorized on April 7, 2018 by 15159114. You want to buy a new home, and you’ve decided that the best option for you and your family is a new, custom home. Custom homes in Jacksonville have proven to be very popular and make a lot of sense for a number of families. Whenever you are looking to buy a new or existing home, the first thing you need to do is look at your finances. Pull your credit report and take a hard look at your income and expenses. This will help you put together your budget. Once you have done this, you need to have the self-discipline to stick to your guns and your budget. When you are building a custom home, it is easy to add extras that you may not need or want, and then your budget spirals out of control. Take some time to decide what you want before you talk to a custom home builder. One of the great things about building a custom home is that’s created in accordance with your needs. You can get the number of bedrooms and bathrooms that you want. Do you cook or entertain a lot? You can design a house that will be good for both of those activities. If you are concerned about the environment, you can design the most environmentally friendly home around. From windows that are insulated to solar panels on the roof, you can tailor your home. Think about what you might need down the road. If you know you are going to have older family members stay with you at some point, you may want to have a unit added or even put in a guest house. If you are planning to have children, you can build in more bedrooms to support a larger family. Some people think building a custom home is an extravagance, but it can actually make a lot more financial sense than buying an existing home and renovating it to meet your needs. This entry was posted in Uncategorized on March 21, 2018 by 15159114.
or Fill Out The Below Form and We Will Get Back To You ASAP! Copyright 2019 © Collins Builders. All Rights Reserved.